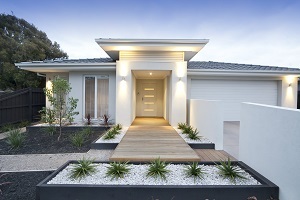 After a good house painter in Baulkham Hills, Sydney? We can help! When you decide it is time to spruce up your home, whether it is inside or outside, an obvious way to improve its appearance is to apply a few coats of paint. However, while paint can drastically affect how your home looks, painting can be a labour intensive job, which is why many homeowners choose to hire a good local house painter. If you do not spend a little time checking credentials, you may end up hiring a painter who does not have much experience, equipment or skills, which could make the result quite disappointing. Painting requires some expertise and skill, so finding an experienced tradesman is very important. In New South Wales, painters must be licensed before he or she can advertise, enter into contracts or hire sub-contractors to perform any type of painting work where the market cost is more than $1,000. The Department of Fair Trading, NSW issues all licenses, and you should check that any painter you hire has one that is current and has not expired. You should be able to tell if a painter is good long before he ever picks up a paintbrush. Simply spend a little time observing the actions, attitude, and demeanor of any tradesmen that you are considering and you should be able to recognise the ones that will provide you with a great job and the ones who may not. When you first meet with a painter, look carefully to see if he acts as a professional, does he seem confident and experienced? Is he courteous, respectful, and professional when talking to you? Get a feel for his personality, not only will this help you find a painter who is experienced and professional, but it will also help you find one that you can easily communicate with. Additionally, get an idea of his schedule. If he is a good painter, he is probably quite busy with many projects. When you call him, does he call back in a timely manner? Does he give you a quote within the expected period? When you schedule an appointment, is he punctual and prepared? Does he have sufficient references to give you a good idea of his past work? A good local Hills painter will always offer a warranty on his work, and carry liability insurance to cover any damages that may occur. He should also carry worker’s comp insurance to cover any employees during the project. If you are looking for a painter in Baulkham Hills, why not let our free tradesmen concierge service help you? You can tell us about your paint job by completing our easy job request form and our team will call you back shortly to help you find the best local Hills painters within our network.